HeartRate+™ workouts automatically adjust the resistance level to keep users in their target heart rate zone. Goal-based workouts allow users to set personal goals, while Cross-Train Reverse and Cross-Train Aerobic modes utilize machine-generated prompts to keep users motivated. ToughTrain 3.5 out of 5 Its a superb exercise machine, but its price touches the sky. Can only be worthy if you really have some extra bucks. *Note: Most of the sites, stores or shopping portals listed above sell Life Fitness 95x Inspire Elliptical Cross-trainer with discounts and other exciting offers. There is a possibility that the some of above websites are not selling Life Fitness 95x Inspire Elliptical Cross-trainer now. Toughtrain.com is not liable for such cases or instances. 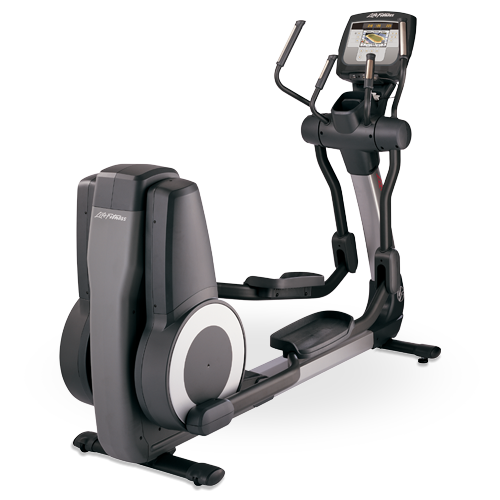 Also we do not recommend any seller for Life Fitness 95x Inspire Elliptical Cross-trainer and a buyer should buy from where he/she gets best deal with quality of products, service and on time delivery (shipment).